There is a tiger in the zoo. A tiger can be dangerous. The poor are still poor. A gentleman wants to see you. They are nearly of an age. The two shirts are much of a size. We go swimming four times a week. Long long ago there was an old king who had a very beautiful daughter. There is an hotel near here. He is quite a good actor. What a pretty girl she is! This is the house where Luxun once lived. look for food for him. The Bakers came to see me yesterday. This is the very book I want. The more you drink, the more you like it. A horse is a useful animal. I have lunch at school. Summer is the best season for swimming. 比?#24076;篒 had a big lunch yesterday. The dinner given by Mr Smith was very nice. 比?#24076;篒 will never forget the summer we spent in Hawaii. This cart is made of wood. 比?#24076;篢he wood outside was all wet. 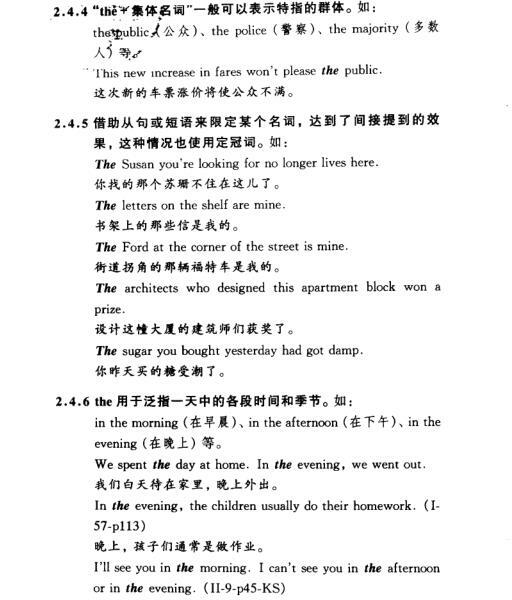 比?#24076;篢he time of the play was 1990s. A boy came in, book in hand. I like this sort of book. He is (the) captain of the team. As (the) chairman of the committee, I declare the meeting open. I received a letter last week. The letter was from my penfriend. Turn down the radio, please. The baby is sleeping. The lady in red over there is our class teacher. The earth spins round the sun. December is the twelfth month in a year. Jason is the best player in the basketball team of our school. Physics is the most difficult in all subjects. Harry Potter and the Half-Blood Prince is a most interseting book. I hit him on the head, and he hit me in the belly. The Smiths are so kind that they often help with the disabled. Mary is in the music room, playing the violin. The People’s Republic of China was founded in 1949. The United States is the most developed country in the world. This is a ruler.He’s a student. There are seven days in a week.We have three meals a day. There’s a tree on the hill.He has an interesting book. An elephant is bigger than a horse.A car runs faster than a bike. 2．泛指的?#35789;?#21517;词前:Books are my best friend. 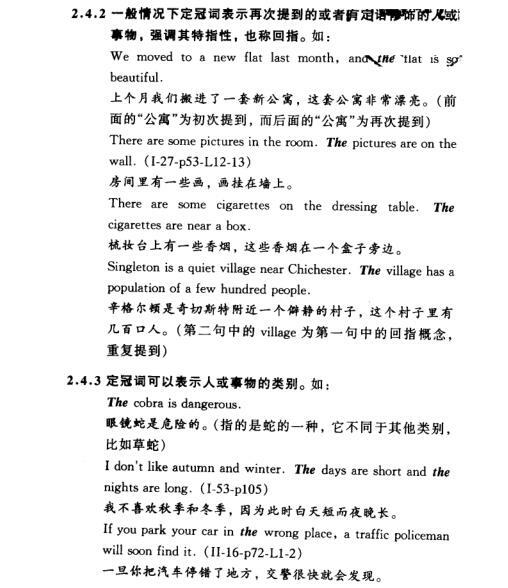 5．职务、头衔、称呼前:Doctor,I am not feeling well. 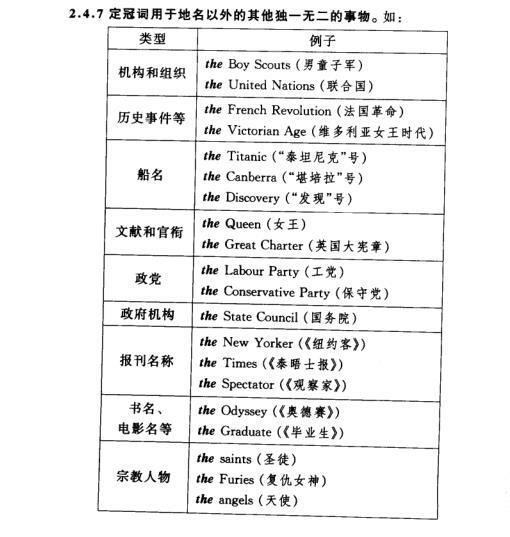 ?#27169;?#27880;意：1.某些不可数名词表示泛指时,通常不用冠词:I like music.但当特指或具体化时,这些不可数名词与冠词连用:I like the music of the film. 2.季节特指时,?#37096;?#29992;冠词:He was born in the summer of 1982. 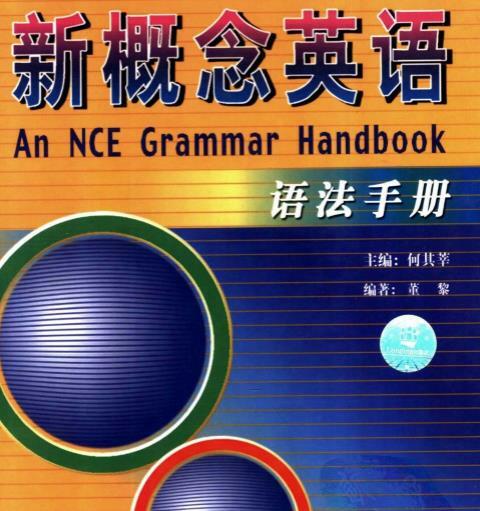 同一人时:He became the teacher and friend of the student.他变成了学生的老师?#22242;?#21451;. 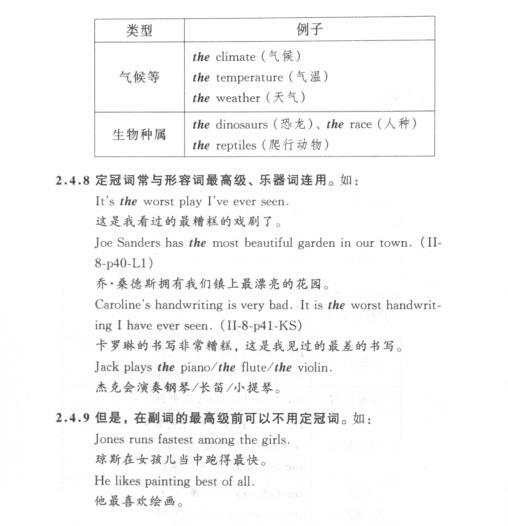 She is a dancer and singer.她是一名舞蹈家兼歌唱家. 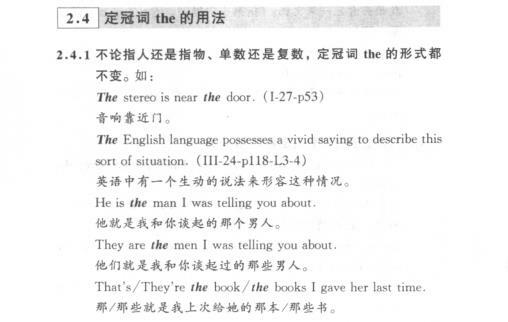 两个人时:A boy and a girl entered together.一个男孩和一个女孩一起走进来.